Ecommerce has driven up deliveries, but driven down retail sales and profits. It has also taught merchants the value of monetizing every available space. The rise of online shopping has taken a toll on retailers as shipping costs and investments in e-commerce capabilities have cut into profits. Retail margins fell to 8% last year from 10.2% in 2012. Over that period, e-commerce sales expanded to 17.6% of total sales from 10.5%. Retailers hope they have a remedy: Wring more money out of the space inside the box. 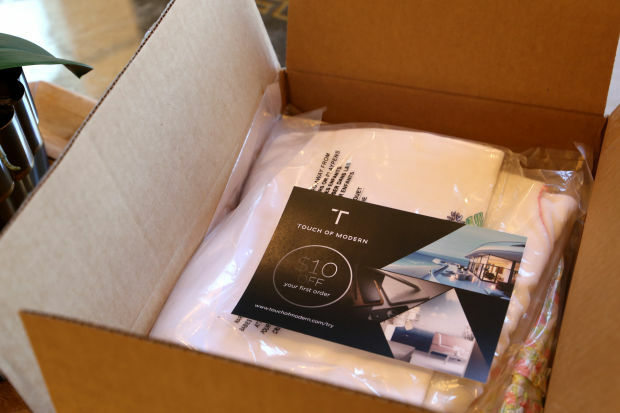 In the sliver of room between a new pair of shoes and the books you ordered online, retailers have found a different way to monetize the empty space in your packages. Saks Fifth Avenue, Zulily and Barnes & Noble College are among several businesses that have joined a new marketplace allowing advertisers to buy and insert paper ads in customers’ boxes. More than 25 retailers have listed slots for sale in their packages in the weeks since the website, called UnDigital, went live. The rise of online shopping has taken a toll on retailers as shipping costs and investments in e-commerce capabilities have cut into profits. Retail margins on average fell to 8% last year from 10.2% in 2012, according to consulting firm AlixPartners. Over that period, e-commerce sales expanded to 17.6% of total sales from 10.5%. Retailers hope they have a remedy: Wring more money out of the space inside the box. For years, companies have been adding product samples or targeted coupons in their packages in hopes of encouraging shoppers to place another order at their stores. Some retailers brokered occasional deals with existing vendors or advertisers. With UnDigital, retailers are offering their packages to a broader range of potential advertisers. On the UnDigital platform, retailers post monthly listings with a number of packages and the maximum number of inserts per package. Advertisers can specify the number of packages in which they want inserts at a price set by the retailer. The average price per insert is between 10 and 12 cents, and the average number of inserts per box is two to three. Once an advertiser buys the inserts, UnDigital manages printing and payment logistics. It also sends the ads to the retailer’s shipping facility for them to be inserted. Advertisers can add unique links on their inserts to track conversion rates. Online retailer Zulily said it has included inserts in packages in the past but mainly from its existing vendors. The retailer joined UnDigital in hopes of finding new advertisers and generating more revenue to reinvest in the business, said Chris Johns, manager of integrated marketing and partnerships for Zulily. “A penny saved is a penny passed along to the customer,” he said. Barnes & Noble College is looking for advertisers that sell products specifically for college students, such as those related to technology or entertainment, said Lisa Malat, chief marketing officer at the company.